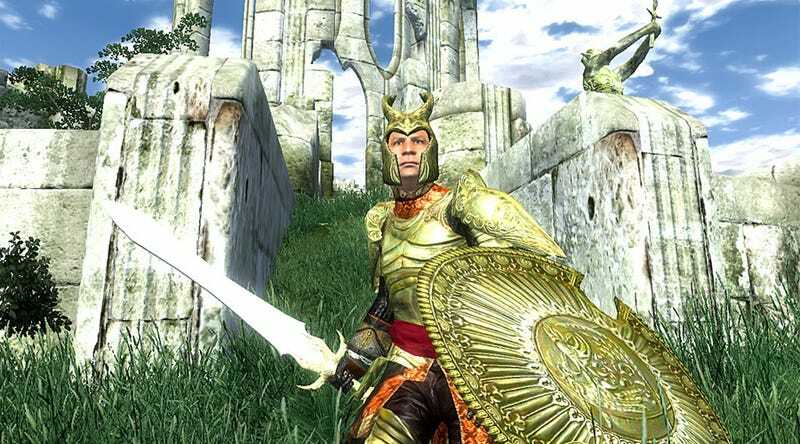 In 2012, Colorado resident Landis Edwards sued the folks behind The Elder Scrolls IV: Oblivion over a bug that erased one of his game files. The bug, Edwards said, violated the marketing copy on the back of Oblivion's box, which promised "open-ended" gameplay with "unlimited possibilities." Edwards filed the suit as a class-action with a firm called Edelson, and they battled with Zenimax, the parent company of Oblivion developer Bethesda, for a year and a half or so. A few weeks ago, according to court documents, the case was dismissed with prejudice following a joint stipulation. Settlement terms weren't disclosed. Edelson, it's worth noting, was once called "the most feared and loathed firm in Silicon Valley" in a Business Insider mini-profile. They like their class-action lawsuits, and Business Insider describes their strategy as: 1) File suit over something "nitpicky," and 2) "Accept a modest settlement from the accused company, which is willing to pay just to make the whole thing go away. Pay out tiny amounts to the plaintiffs who joined the class action. Take huge fees." Ruh-roh. What a strange and convoluted legal system the United States bears.